In 1954, "The War of the Worlds" won an Academy Award ("Oscar") for special effects. In 1964, "Burke's Law" won a Golden Globe Award for Best Television Show. In 1964, Gene Barry won a Golden Globe Award for Best Best Male TV Star. Susan Saint James - Outstanding Continuous Performance by Actress in a Supporting Role in a Series. Producers won for Outstanding Dramatic Series. Anne Baxter won for Outstanding Single Performance by an Actress in a Leading Role. In 1970, the producers of "The Name of the Game" won an Emmy Award for an Outstanding Dramatic Series. In 1971, the following Emmy awards were given for "The Name of the Game:"
Nomimated: Outstanding Achievement in Music Composition for a Series or a Single Program of a Series, "LA: 2017," Gene Barry segment. Nominated: Outstanding Achievement in Music, Lyrics and Special Material for a Series or a Single Program of a Series, "All the Old Familiar Faces," Gene Barry segment. Won: Outstanding Achievement in Cinematography for Entertaining Program, "Cynthia is Alive and Living in Avelon," Gene Barry segment. In 1984, Gene Barry was nominated for an Antoinette Perry Award (Tony) for Best Actor in a musical ("La Cages aux folles"). Gene Barry was a first vice president of the Screen Actors Guild. In 1986, Gene Barry was named ADL Man of the Year by the Anti-Defamation League. In 1987, he was honored by the Friars Club at a Lifetime Achievement Tribute Night. From the Friars Club site: "Working hard is an art. This holds particularly true for the entertainment industry. There are many people that do not always receive the proper recognition for their efforts yet they have devoted most of their lives to making other smile. Friars Tribute Nights are dedicated to these individuals." 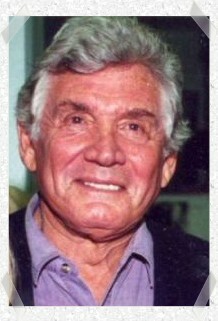 In 1987, Gene Barry received the Golden Boot Award. In the early 1980s, veteran movie sidekick Pat Buttram conceived the Golden Boot Award as a way to recognize the achievements of cowboy film heroes and heroines, as well as writers, directors, stunt people and character actors who had significant involvement in the film and TV western. He won the Golden Baton award for conducting the Jr. Philharmonic orchestra in the Annual Celebrity "Battle of Batons." On May 5, 1988, Gene Barry was honored with a star on the Hollywood Walk of Fame. It is located at 6555 Hollywood Blvd, near Legends of Hollywood and only a just a few steps north of the Hollywood Visitor's Center. Mr. Barry was recognized for his contribution to the theatre as an actor by the Hollywood Chamber of Commerce, sponsor of the Walk of Fame. As of 1991, Gene Barry was one of only 9 stars who have a comedy/tragedy (theatre) mask on the Walk of Fame. The cost of this honor is almost $10,000, and the celebrity is usually nominated by a fan club, fan, family members, or friends. The nominated person must also meet the following criteria: 1) professional achievement, 2) longevity of 5 years or more, 3) contribution to the community. To be honored with a star on Hollywood's Walk of Fame, the world's most famous sidewalk, is a tribute as coveted and sought after as any of the entertainment industry's equally prestigious awards--including the Oscar, Emmy, Grammy, or Tony. And, because it recognizes a life-long contribution of both public and peer appreciation, it is a unique honor, a permanent monument of the past, as well as the present. He was also recognized for his career achievements by the Palm Springs Chamber of Commerce with a star on the city's Star Walk. It can be seen on the west side of Palm Canyon Drive between Tahquitz and Amado in front of Saks. Gene Barry was inducted into the Brooklyn Celebrity Path at the Brooklyn Botanic Garden. The Celebrity Path -- Brooklyn's "walk of fame" -- located in the Japanese Garden at the Brooklyn Botanic Garden, is made up of over 130 leaf-shaped flagstones, with the names of Brooklyn's most famous sons and daughters inscribed in brass. 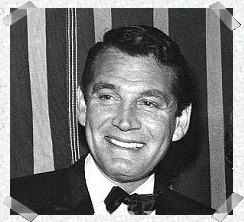 Gene Barry has appeared in Who's Who in America (Marquis: New Providence, NJ) for the years 1974, 1976, 1978, 1980, 1982, 1990 through 1997.